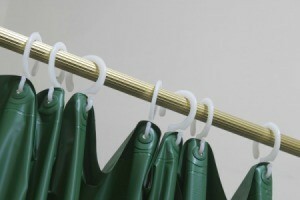 Shower curtain rods are also good to use for hanging other items to dry. Be creative and you will surely find even more alternative uses. This is a guide about uses for shower curtain rods. My mom taught me this awesome tip. I bought two tension rods and put them in the shower. 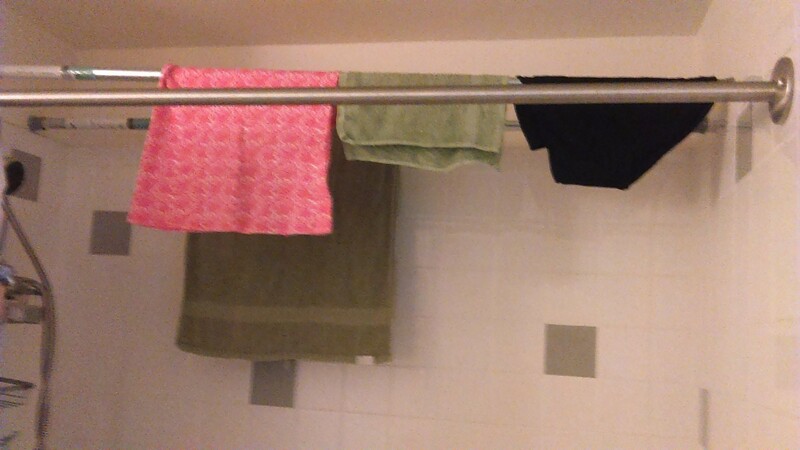 I wash my clothes and just hang them in the shower. It's easy and if you're hand washing it's time saving. You could skip pulling out the hanging rack. You don't even need to iron when they dry. While this does not cover the entire closet pole, slip it on the top part where the hangers rest. It makes the hangers slide much easier! If they are old be careful, because they will split easily. If you are hosting a party and have a small apartment, where do you put everyone's coats? Answer: Hang them on an extra spring loaded shower curtain rod in your shower! It utilizes space not otherwise being used at the time.